Pet ID’s Are Super Important! Losing a pet is any owner’s nightmare, so you should do everything you can to ensure your treasured dogs and cats are properly identified. It’s National Pet ID Week and here’s what you need to know to keep your four-legged friend safe and sound. One of the biggest issues is a pet gets lost and there’s not an easy way to identify that pet to get him quickly back to his person. There are many animals that have no form of identification, be it microchip or tag. 1. Make sure your pet is always wearing an identification tag. Although microchips are very important, your dog or cat also needs a regular ID tag with your contact information on his collar. Interestingly, an ASPCA study found that even though 80 percent of pet owners believe that it’s very or extremely important for their animals to wear ID tags, only 33 percent of them actually had a tag on their pet. If your pet is wearing his tag, your neighbor down the street can easily read it and give you a call if they find him. 2. Get a microchip. Of course, tags can fall off or be taken off, so having a microchip as well provides a safety net. The tiny electronic device is injected under your pet’s skin. Then, when a shelter, veterinarian or animal-control officer waves a scanner over the area, they’re able to find the pet’s unique identification number. When they compare the number with a database, the pet’s owner can be contacted. 3. Keep the microchip information up-to-date. The microchip is only as good as the information that’s attached to it. So if you move or if a phone number changes, make sure you update the microchip company. Keeping that information up-to-date is vital, otherwise the microchip is not going to do anybody any good. It’s a good idea to ask your vet to scan your pet once a year and to make sure your information is still current. 4. Remember that a pet can always get lost. 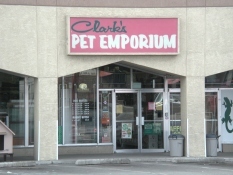 Some owners say their pet doesn’t wear ID because their dog is always on a leash or their cat is an indoor cat. But you should expect the unexpected. Snaps break, doors get left open, unfortunately fires can happen, other natural disasters can happen and your pet can get lost — that’s always a possibility. 5. If a pet is lost, start searching immediately. It sounds obvious, but some pet owners — especially those with cats — sometimes expect that the animal will turn up. The sooner you look, the better your chances of recovery for those pets. Make posters with photos and your contact information, knock on your neighbors’ doors and alert local shelters. Chances are, they’re probably close to home. Call us today at (505) 268-5977 Lomas or (505) 293-5977 Menaul. 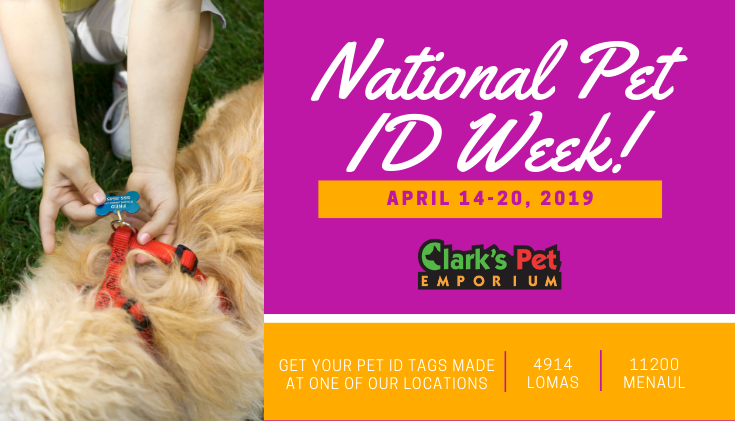 Visit any one of our locations to create a custom pet ID tag for your loved one!